Reading I've got down. So when the discipline to read daily from God's word is brought up I can easily become sure of myself. Of course the reading command is closely followed by the command to pray, and pray often. And there is the blow to my ego. That praying part, yea, it's not really my thing. You see I get distracted, really easily, while I'm praying. And that is strange because I can concentrate extremely well when I'm doing anything else! 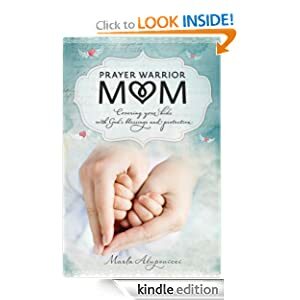 Anyway, my most recent venture in such books has been Prayer Warrior Mom by Marla Alupoaicei. Marla put together a wonderful book that has many great point in it. She goes through many different styles of praying, including fasting as a form of prayer, or maybe a better way of saying this is, she points to fasting as an accompaniment to praying. It was very well done. And in light of my recent discussion over daily disciplines, I was impressed with the mentions of a need for daily prayer as a disciplined Christian. Marla tells us, "The daily discipline of prayer gives birth to love, and the more we love God, the easier the daily discipline becomes." (1471) Her point is so straight to the point, yet easy to understand. So often mentions over the need for daily discipline rubs the reader wrong, which is never the intent. Overall there were many little bits of information that were perfect for Christian moms looking for some tips on becoming prayer warriors for their kids and families. 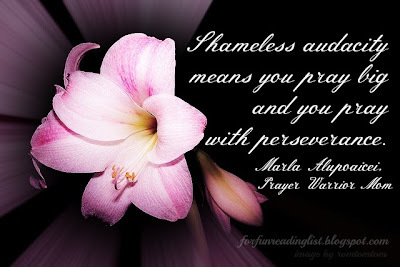 There was only one hang-up on this book that kept it from being a great book - there are way too many references to the Prayer Warrior Mom website and Marla's desire for the readers to stop by the site and share their experiences. 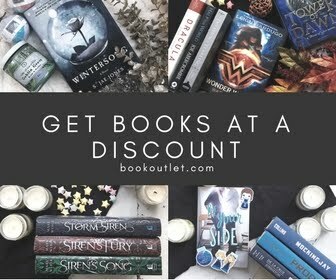 Don't get me wrong, I'm all about connecting with authors who make impressions. However, I do not want to be told over and over while reading her book to share my thoughts directly with her. I got the feeling that this book was an advertising tool for Marla's platform, at least as the secondary objective. Then again, there are great points to be grasped inside this book. And if you are looking for any encouragement over praying for your kids and family, this is a good book. Honestly. Do you consider yourself a Prayer Warrior Mom? Do you strive to show your discipline over daily prayer? 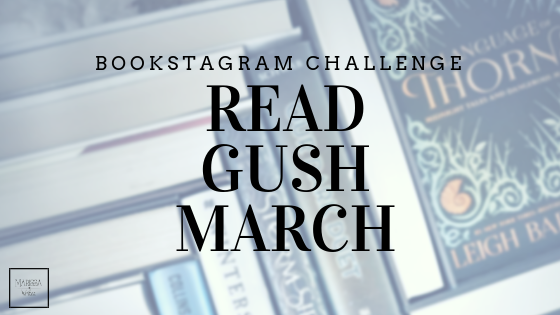 Share your thoughts, I'd love to hear from you. **I received a copy of this book for free from BookSneeze in exchange for an honest review.